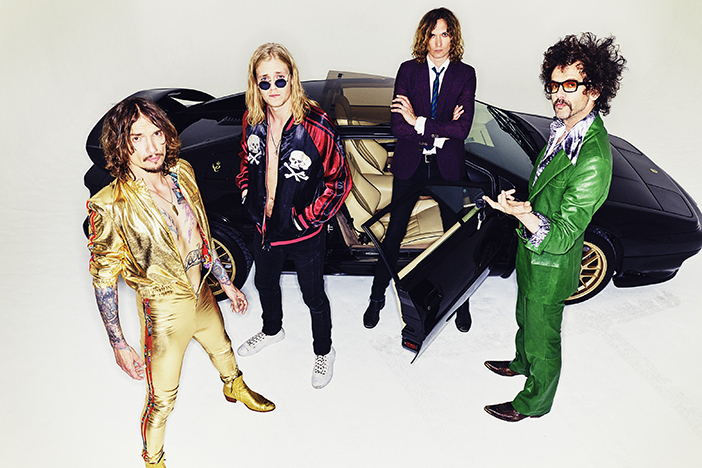 Following the release of their fifth studio album ‘Pinewood Smile’ at the beginning of October, British rock legends The Darkness are on the road celebrating their comeback with a long tour all across Europe. They’re playing no less than 17 dates in the UK alone during the months of November and December. With the brand new addition to the band, drummer Rufus Tiger Taylor (the son of Queen’s Roger Taylor), The Darkness will perform at Brighton Dome on December 11th, right after a headline show at London’s Hammersmith Apollo. ‘Pinewood Smile’ is the band’s first album to come through Cooking Vinyl. It opens with ‘All The Pretty Girls’ – an autobiographical anthem about the ethical conundrums of the life of a rockstar. The album contains 10 tracks, revealing a new yet familiar sound from The Darkness, with heavy riffs and soft melodies – just the way we like them.